Moment Factory is expanding its international operations by developing its presence and partnerships in France. Opening our first office in Paris in 2016 helped establish invaluable new relationships with partners, collaborators, and clients in the industry who share our vision of bringing people together in public spaces to spark a collective sense of connection and wonder. As of this fall, we are strengthening our local ties by acquiring the All Access Design studio in Paris. A recognized and respected partner in the performing arts (42nd Street at the Théâtre du Châtelet, Macbeth at the Théâtre de la Monnaie, Tristan and Isolde at the Théâtre des Champs-Élysées), concerts (Fauve, Woodkid, Arthur H, Stromae), and branding (Nike, Adidas, Samsung, Dior, Yves Saint-Laurent, Atelier Renault, Mercedes-Benz), All Access Design has assembled a multidisciplinary team of creative talent, lighting designers, scenographers, multimedia engineers, graphic designers, motion designers, and multimedia operators—an impressive skill set that enhances Moment Factory’s international presence to help meet the increasing demand for projects both in France and internationally. On October 19, 22, and 25, the legendary Rolling Stones inaugurate U Arena with a series of live concerts in the new venue. Located near the La Défense business district and designed by architect Christian de Portzamparc, this next-generation stadium will offer a modular multi-use space with a flexible capacity of 20,000 to 40,000. 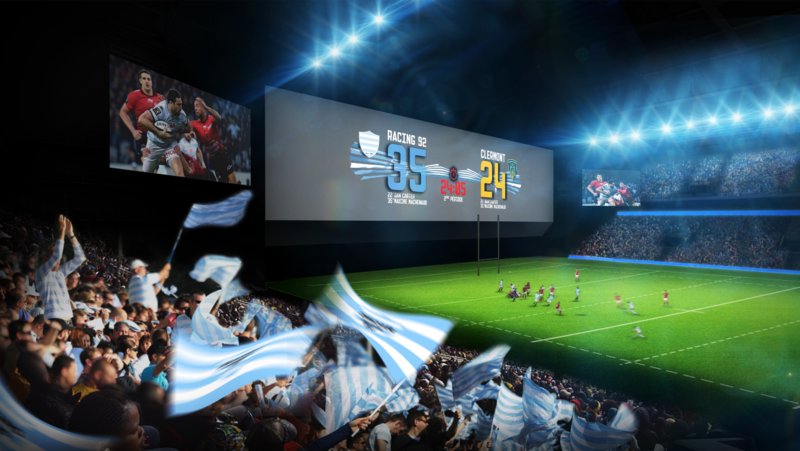 Already appointed as the official stadium of the 2024 Summer Olympics, U Arena will also host movie premieres, shows and concerts, business conventions, and sporting events and be home to the Racing 92 rugby club. 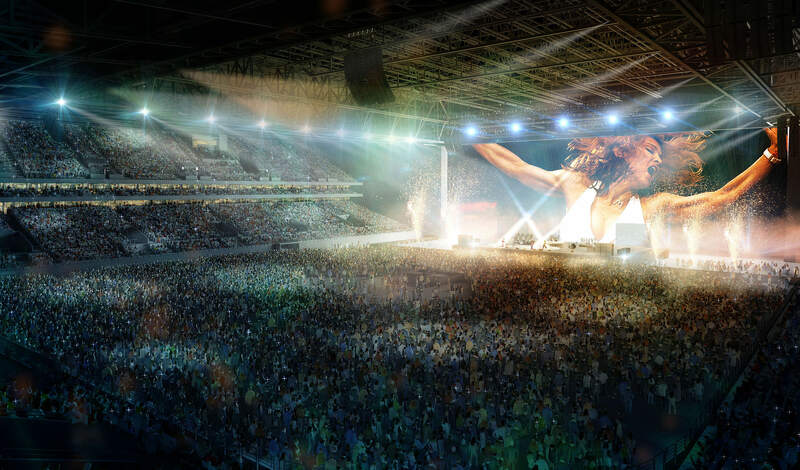 To breathe life into this flexible space, we have designed a tailor-made technological infrastructure with a single management system that controls and synchronizes all U Arena multimedia components including projection mapping, video screens, interior and exterior lighting, and mobile-phone connections. The projection surface is exceptional for both its size and its capacity for multiple real-time reactive configurations. This technological installation can support 15,000 simultaneous Wi-Fi connections, expanding the potential for interactive use during events. Taken together, these technologies offer audiences a totally immersive multimedia experience. 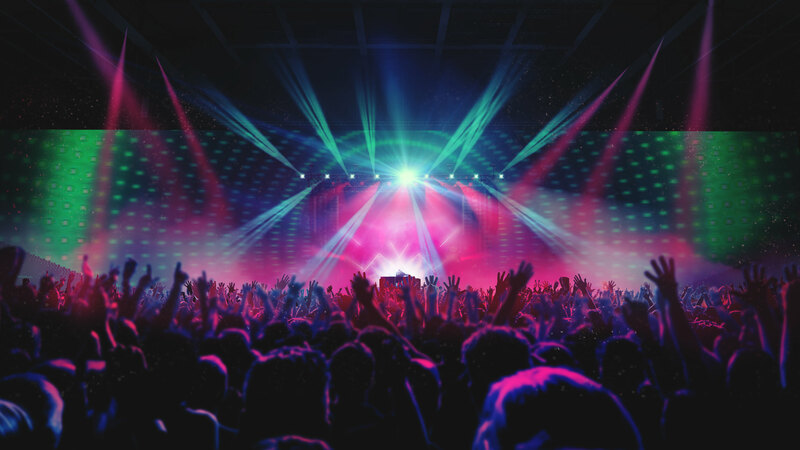 Whether they are attending a concert, a sporting match, or a corporate event, spectators will be drawn into an immersive and interactive experience incorporating sound, lights, and visual animation that moves them beyond the boundaries of entertainment and emotion.